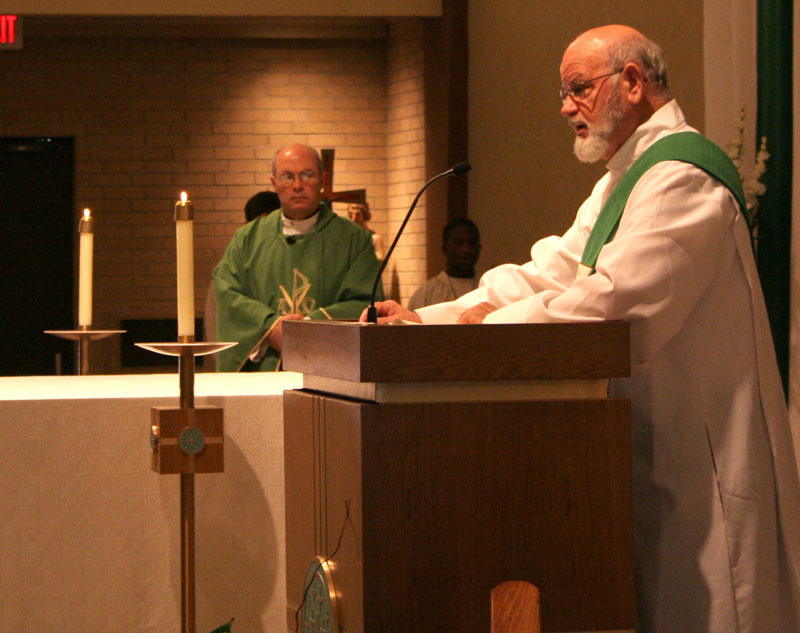 Prayers for vocations were lifted up as the Serra Clubs of Beaumont and Port Arthur gathered to honor their namesake, Father Junipero Serra, during a Mass at Our Lady of the Assumption, Beaumont, Aug. 28. WASHINGTON (CNS) — Sister Antona Ebo, an 87-year-old Franciscan Sister of Mary, does not want Washington’s new memorial to the Rev. 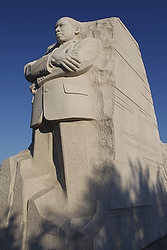 Martin Luther King Jr. to just be a quick tourist stop. She hopes visitors take time to reflect on the words of the civil rights leader carved in stone at the memorial, which opened to the public Aug 22. Or better yet, she hopes these words and the 30-foot likeness of Rev. King carved in stone will prompt some soul searching. “If we have to keep talking about keeping the dream alive, then what have we been doing for it still to be a dream?” said Sister Antona. “Martin was our dreamer; his dream was for his time. Who are our dreamers today? You have to search kind of hard to find people with new dreams appropriate for our time,” she told Catholic News Service in an Aug. 24 telephone interview. 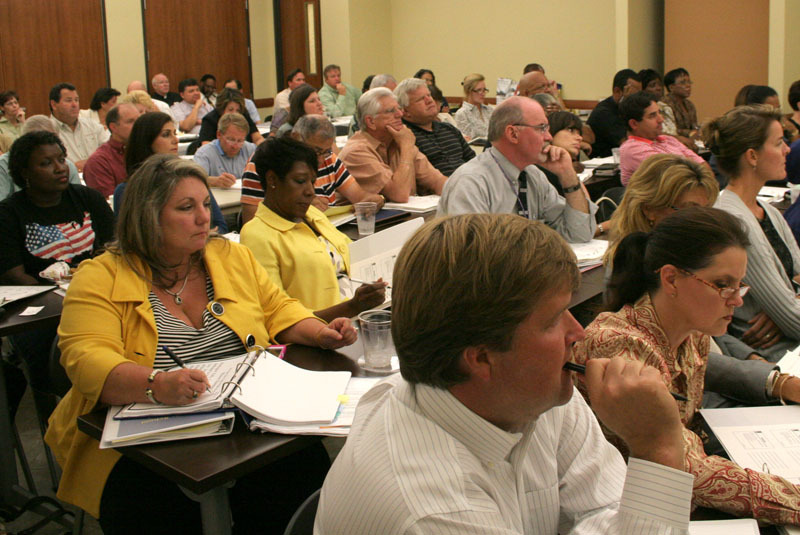 Educators in the Diocese of Beaumont embarked on a four-year journey toward making their schools the best they can be Aug. 24 at the Catholic Pastoral Center. 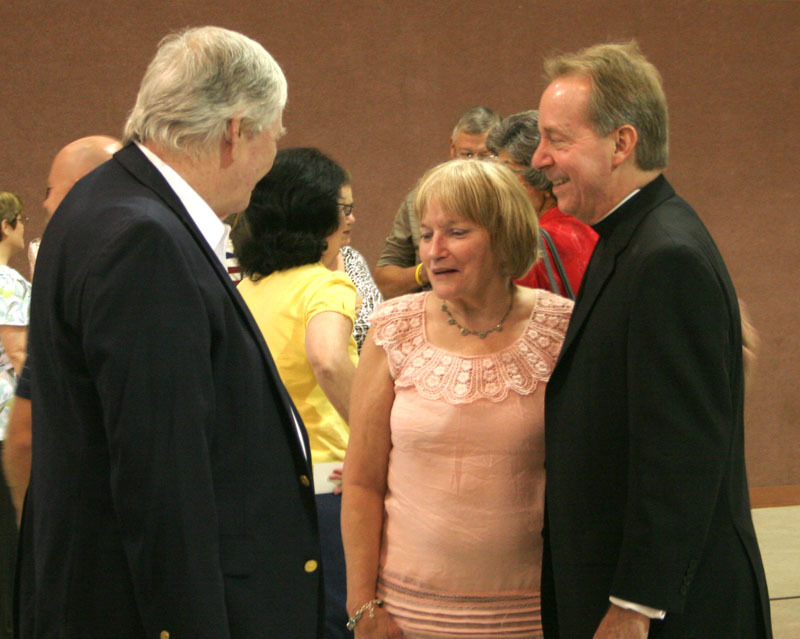 The meeting was led by Richard Burke, president of Catholic School Management, Inc.
Cecil Placette, father of Father David Placette, parochial vicar of St. Charles Borromeo, Nederland, passed away Aug. 24. Grammier-Oberle, Port Arthur, will handle arrangements. A rosary will be Friday evening and Mass of Christian Burial will be celebrated at 10 a.m. Saturday at St. Charles, 211 Hardy Ave.